Talent agency S. Inc announced today that the voice of Anjou Tokoha, Nitta Emi, will be taking a hiatus through February and March. In December of 2014 Nitta was diagnosed with vocal fold nodules, interfering with her singing and speech. On her doctor's recommendation, she will be taking a recovery period. As a result most all of her performances, radio appearances and public events through February have been canceled. Nitta plays the role of Anjou Tokoha in Cardfight!! Vanguard G, first announced at a press conference last October prior to her diagnosis. As a result of the hiatus Nitta will be unable to play the role in upcoming episodes. 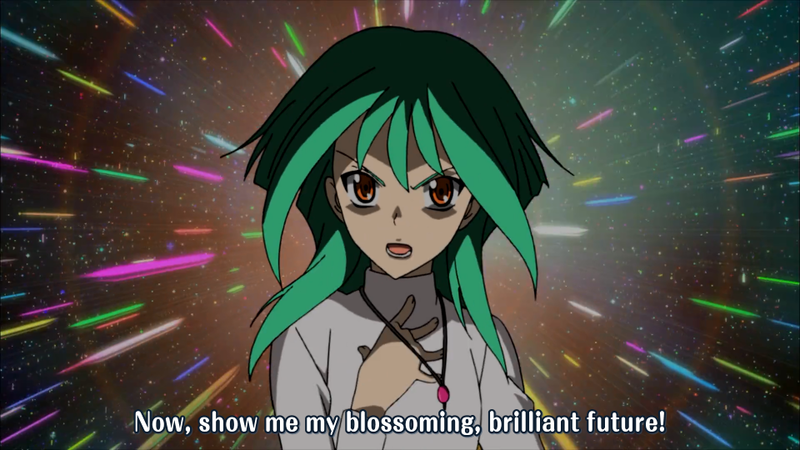 While episodes are prerecorded well in advance of their air date, this means that any episodes recorded during the affected months will minimize Tokoha's appearances, using only prerecorded lines and samples from existing episodes. The effects of her break will likely appear delayed to fans of the anime series, with Tokoha's appearances becoming less prominent as the series enters arcs recorded during Nitta's recovery, and her return not taking place until some weeks after Nitta's. Nitta's February 8th performance of "The Little Prince" will be unaffected by the hiatus. March 28th events commemorating the release of her second and third singles Quest Dreaming and NEXT PHASE will be postponed until April 26th.